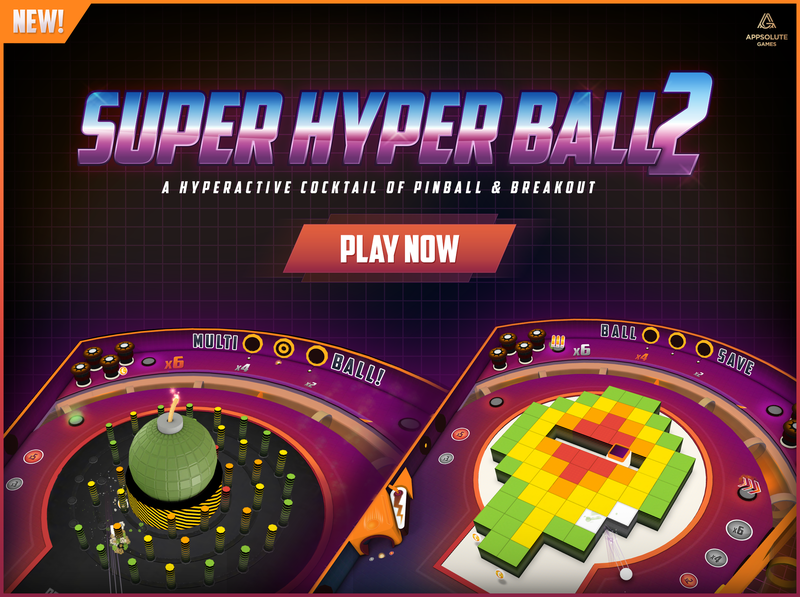 Super Hyper Ball 2 is the sequel to… Super Hyper Ball! 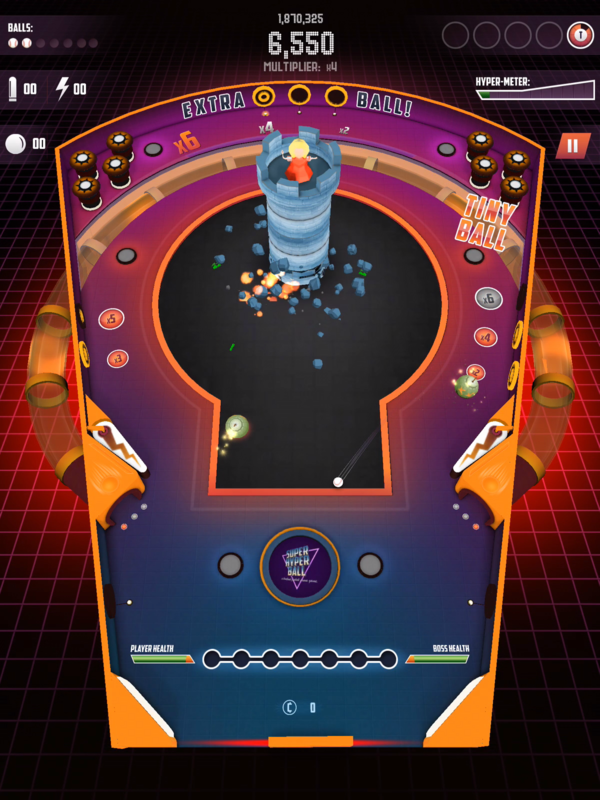 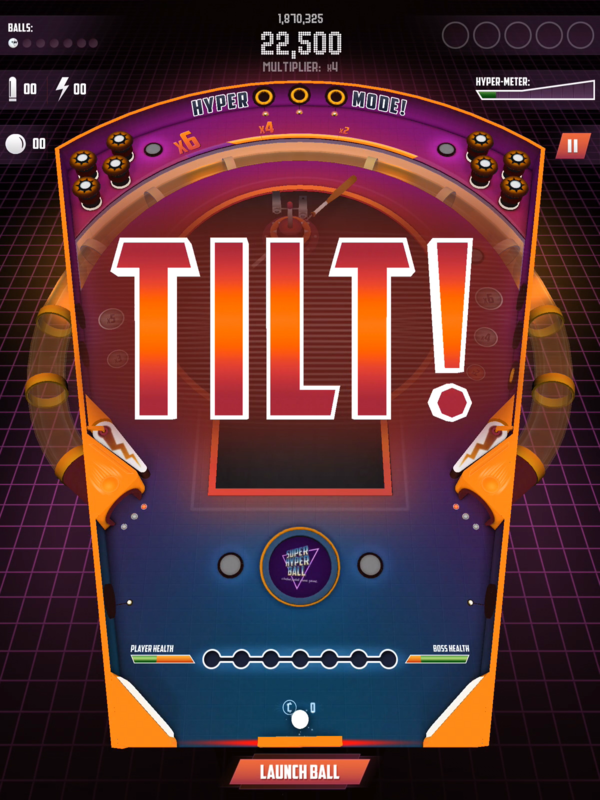 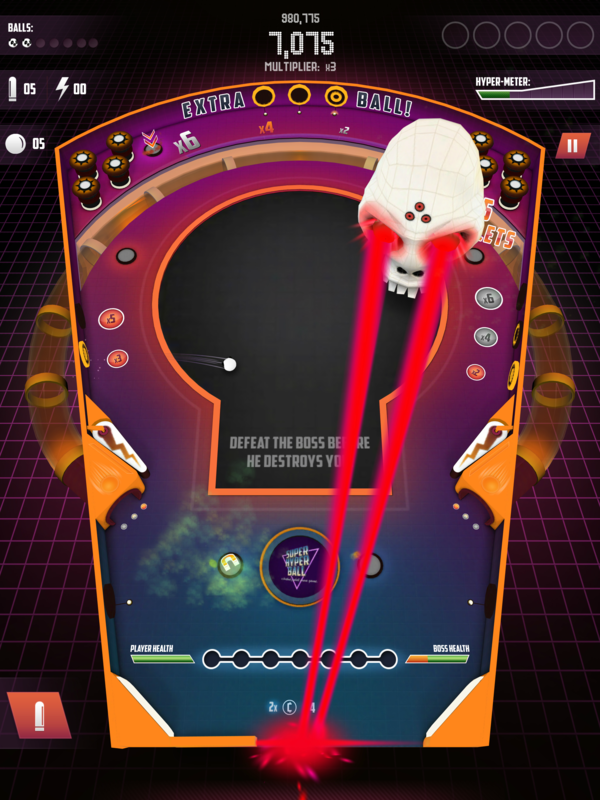 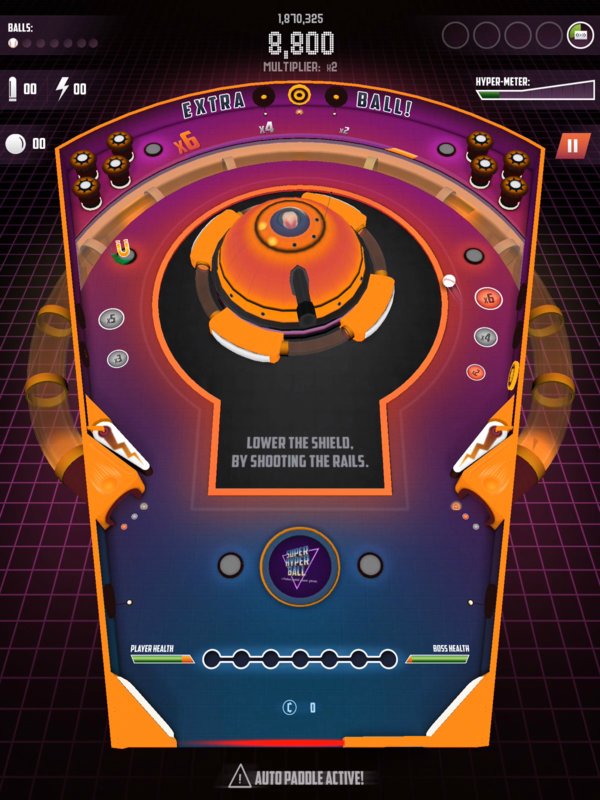 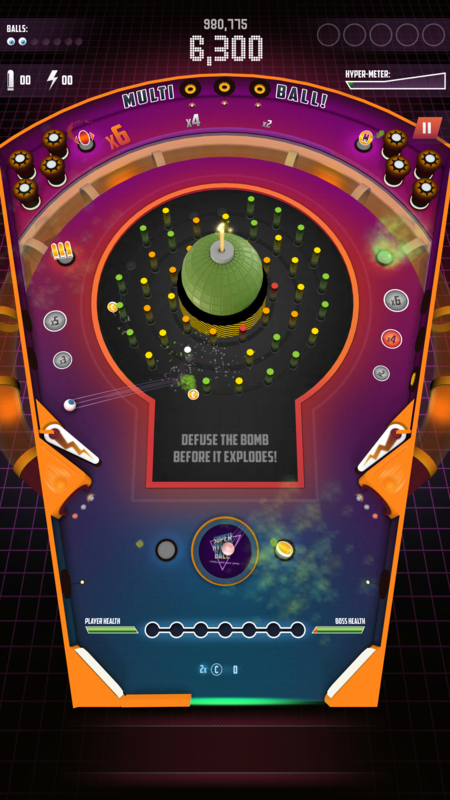 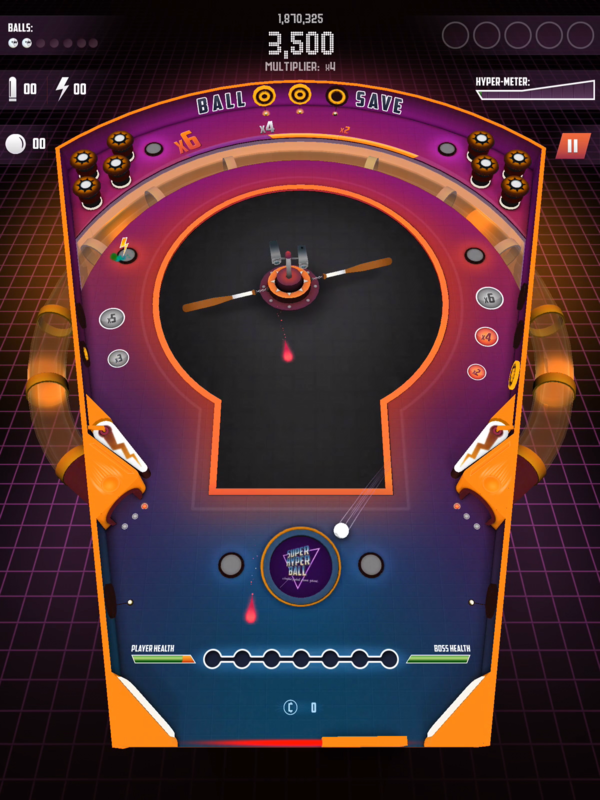 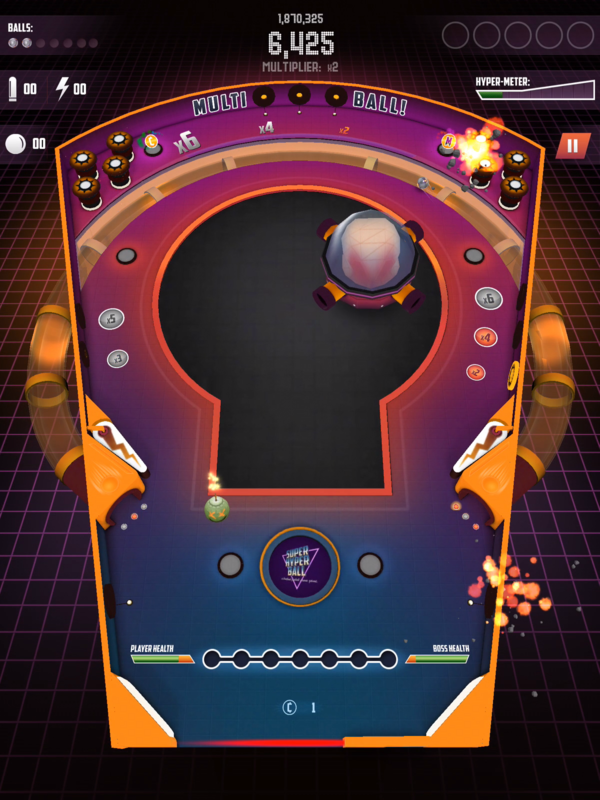 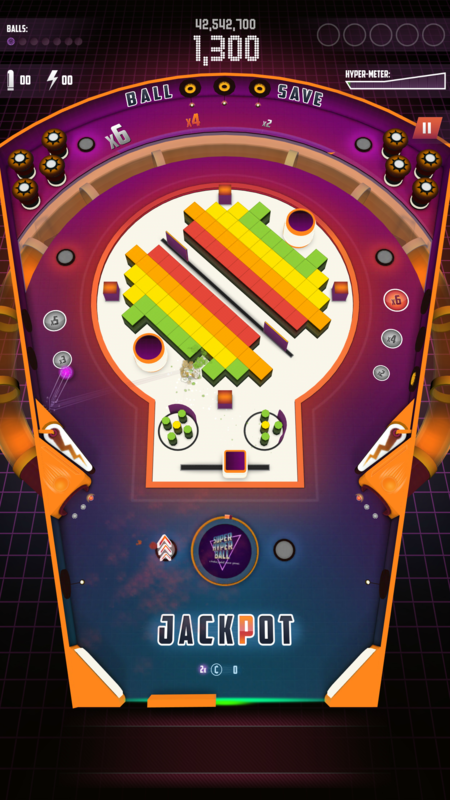 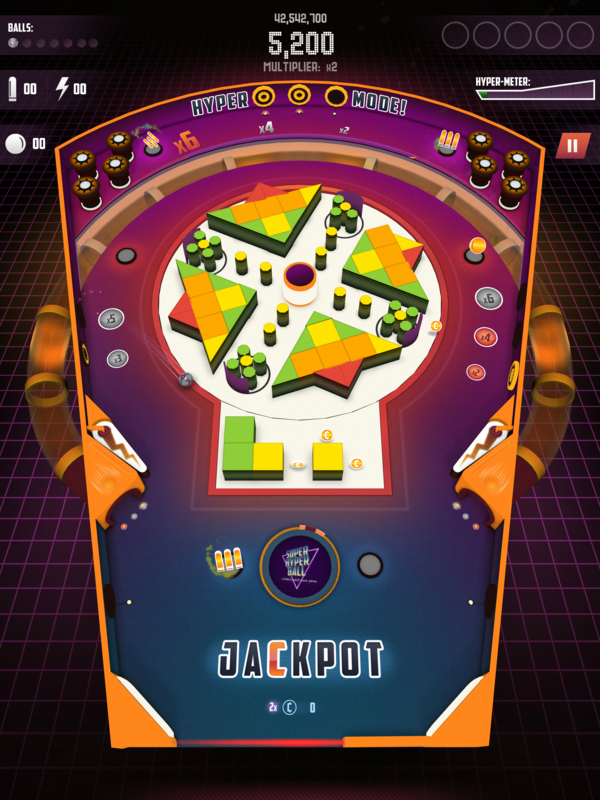 The game is a mix between the classic ball/arcade games, pinball, pong and breakout. 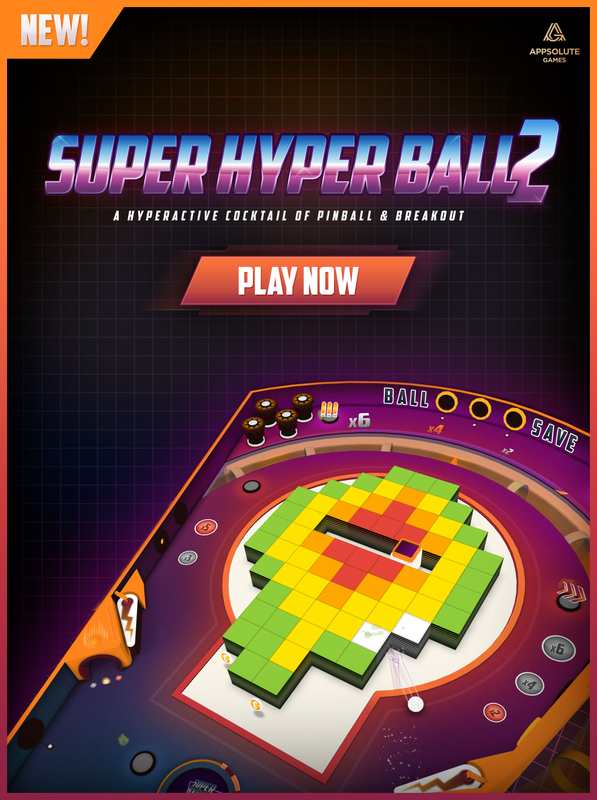 In Super Hyper Ball 2, you have to user your paddle and flippers to smash the ball into blocks, bumpers, goals and bosses to score as many points you can. 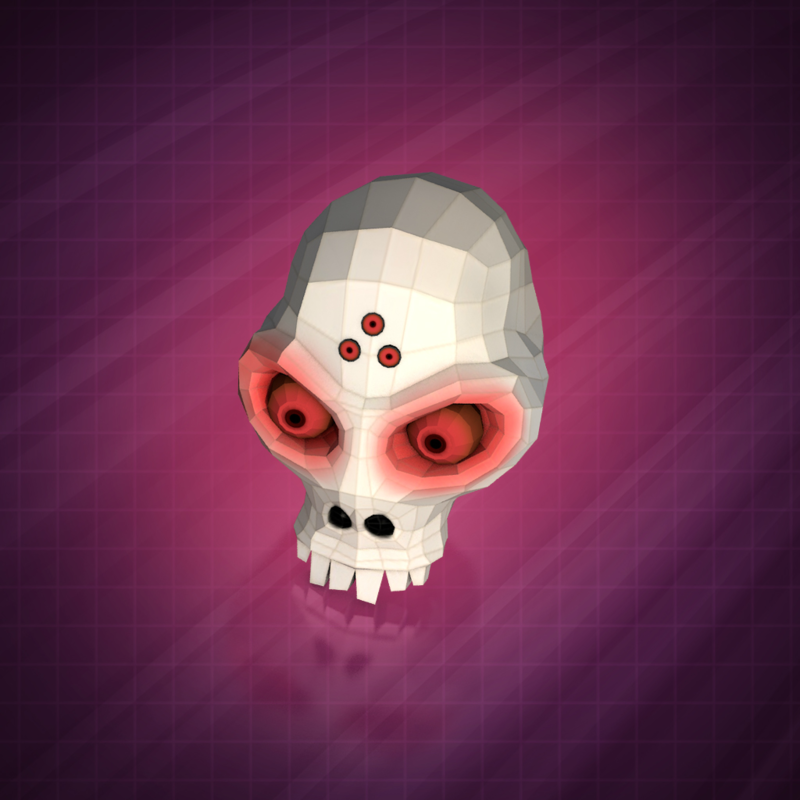 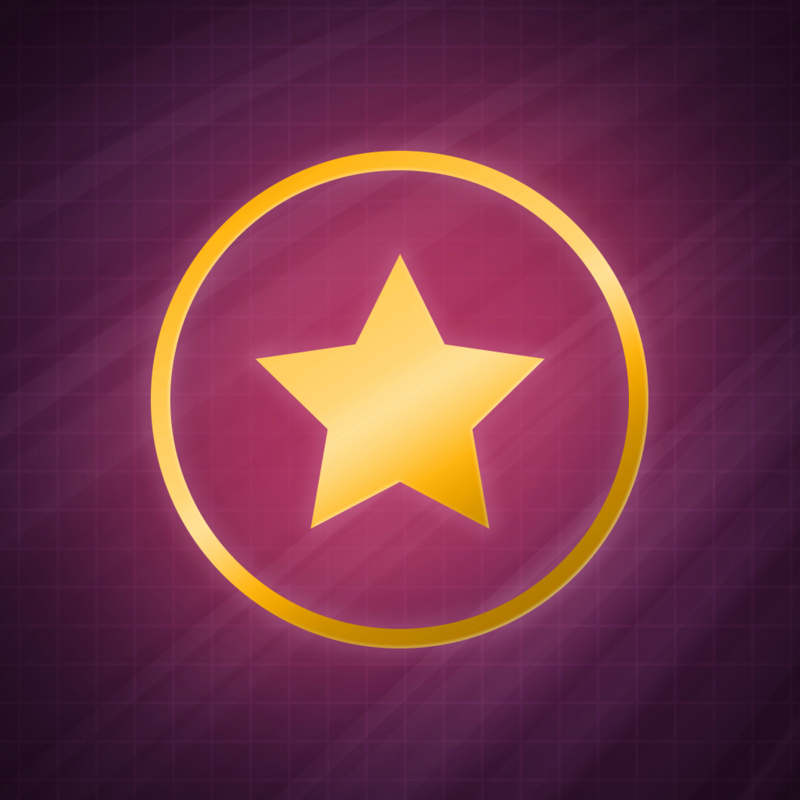 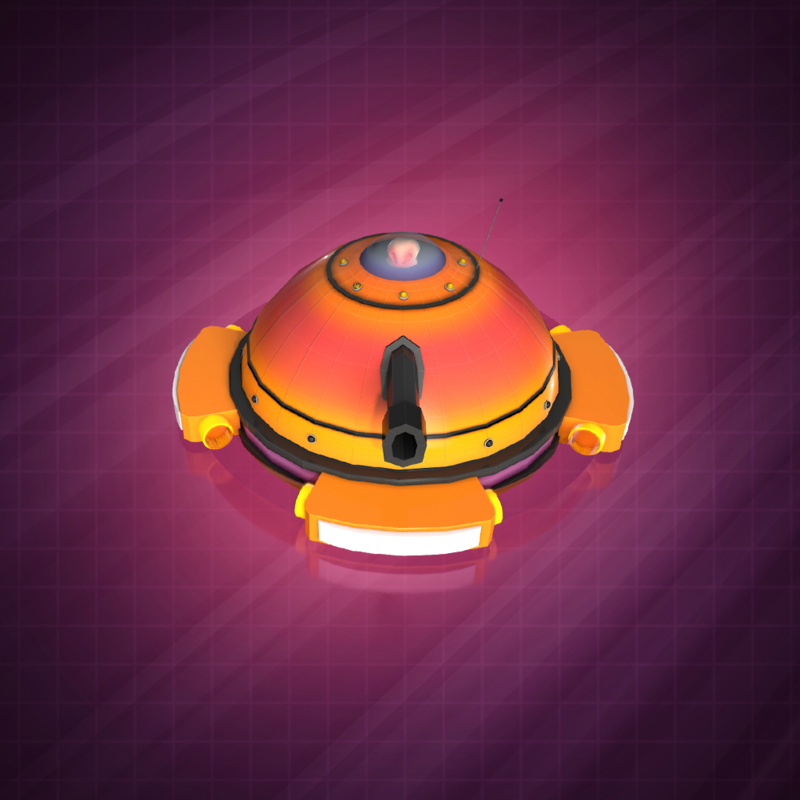 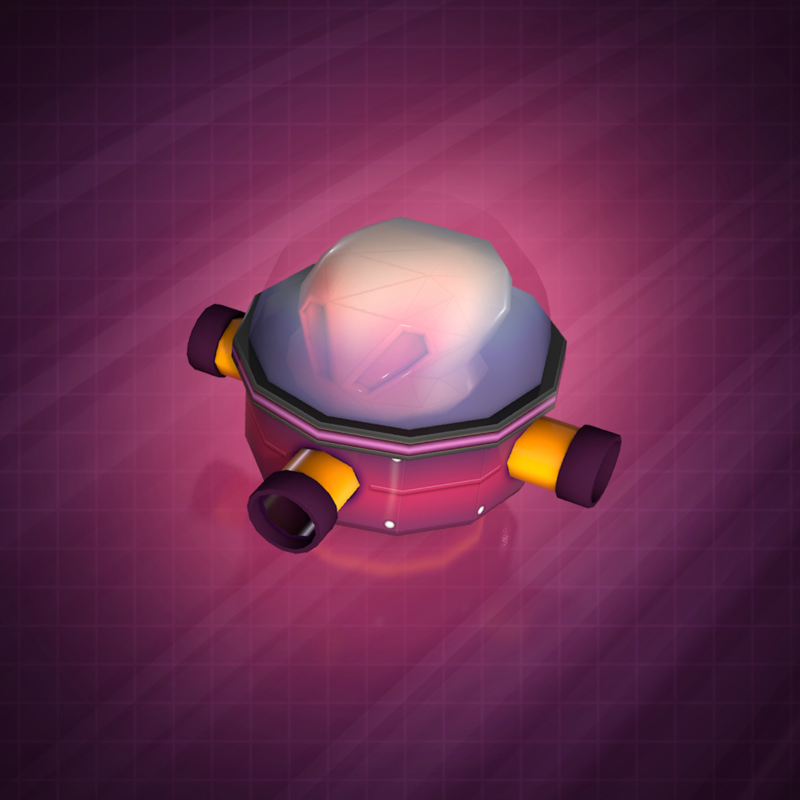 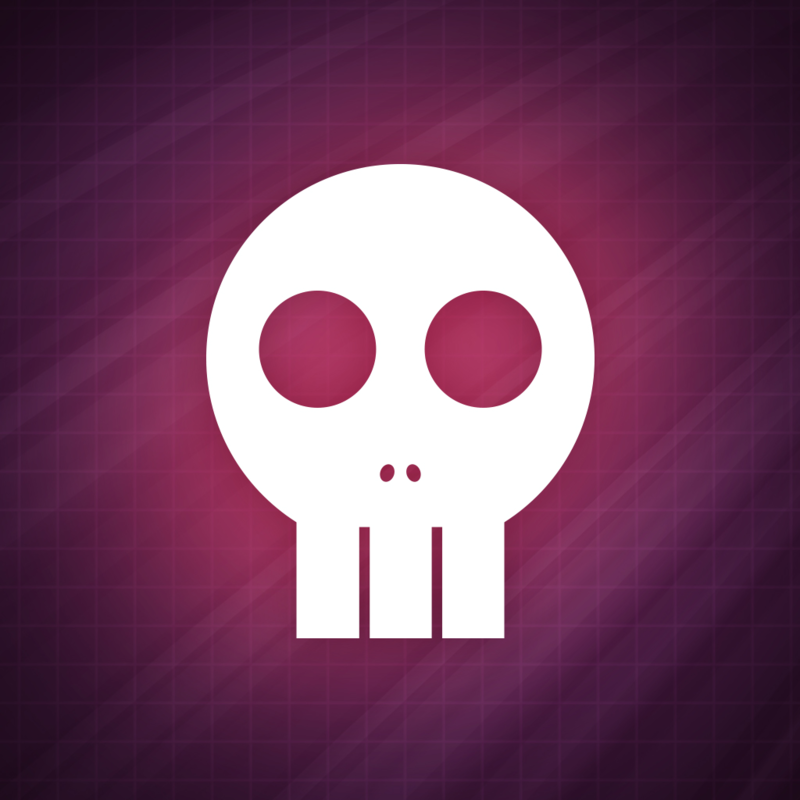 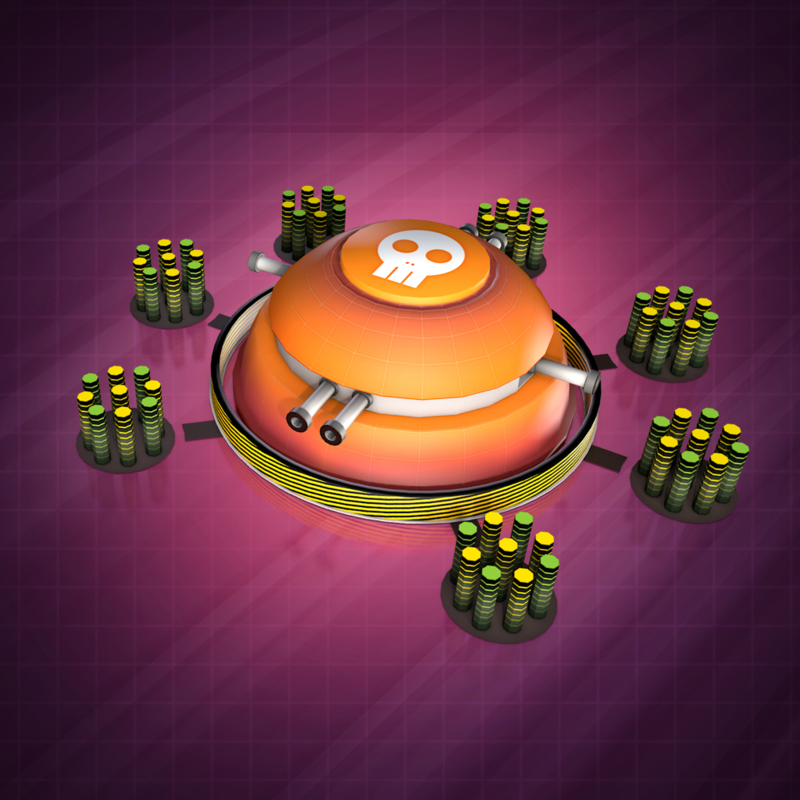 Occasionally powerups will spawn that you can use to help achieve your goals. 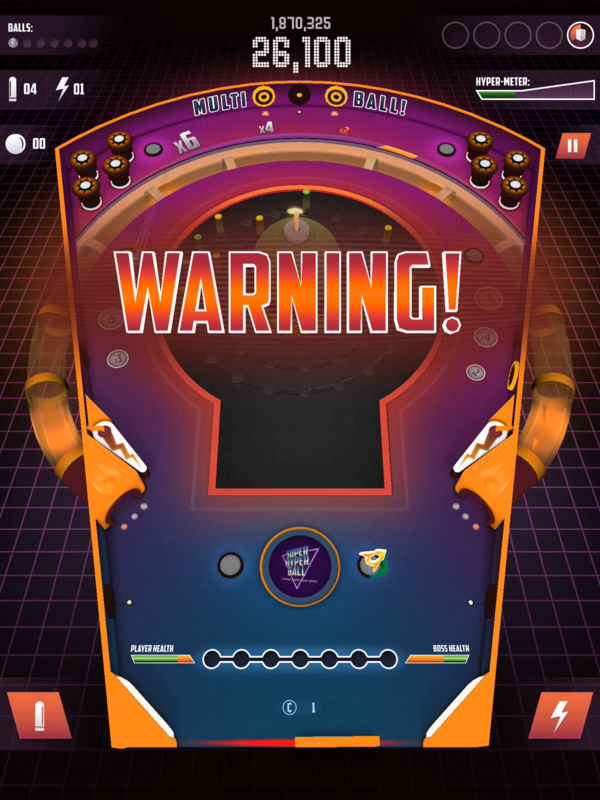 There are also negative powerups that will increase the speed of the game, reverse the paddle controls, or even make your balls smaller! 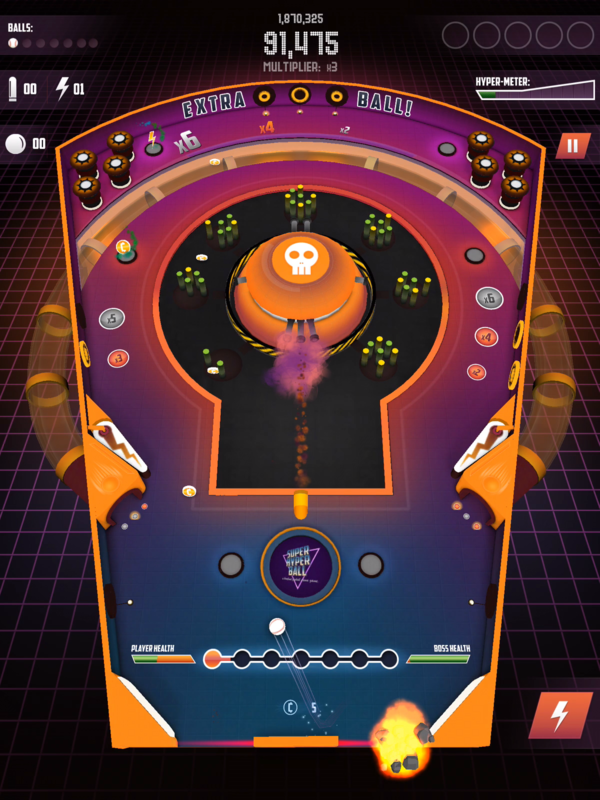 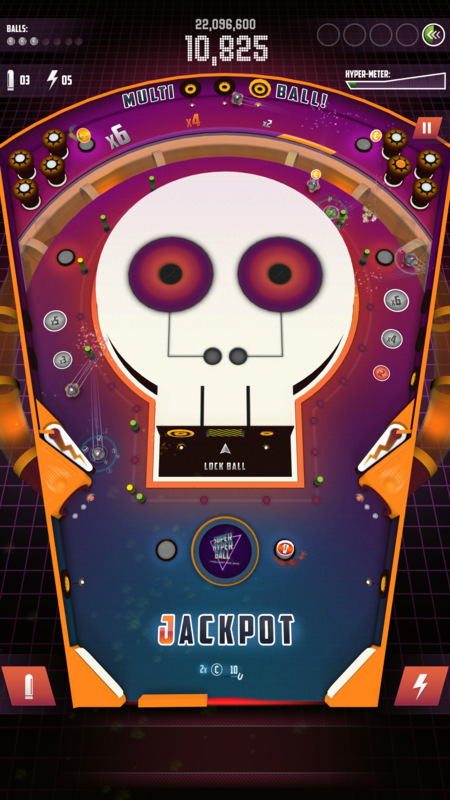 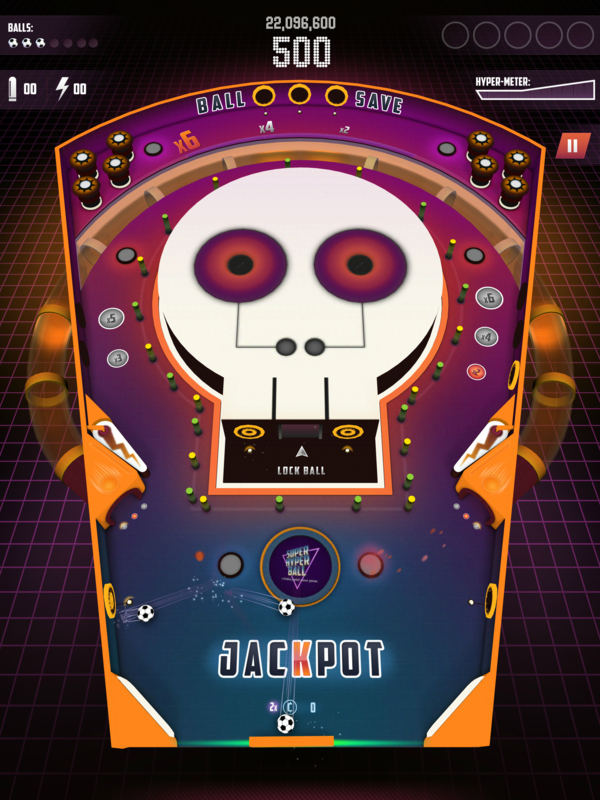 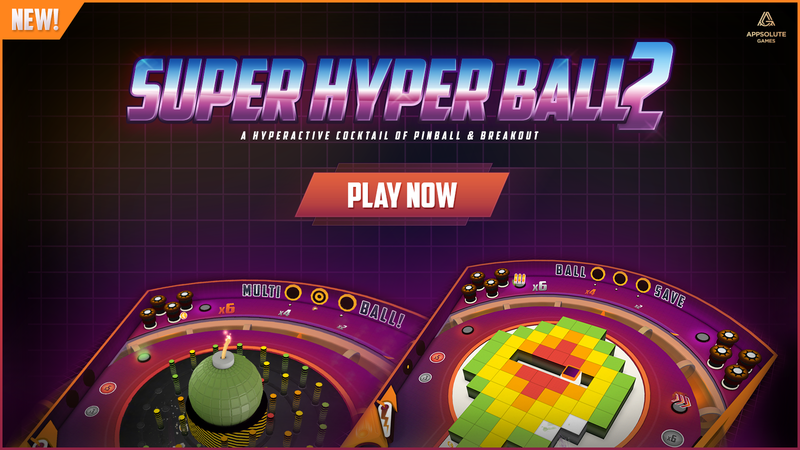 Super Hyper Ball features 4 different game modes: Story Mode This mode is the main game, and plays the most like a classic pinball machine where you start with 3 Balls, and you have to work yourself towards the Jackpot platform, by beating all the mini-bosses/games to collect all the “JACKPOT” letters and get a highscore! 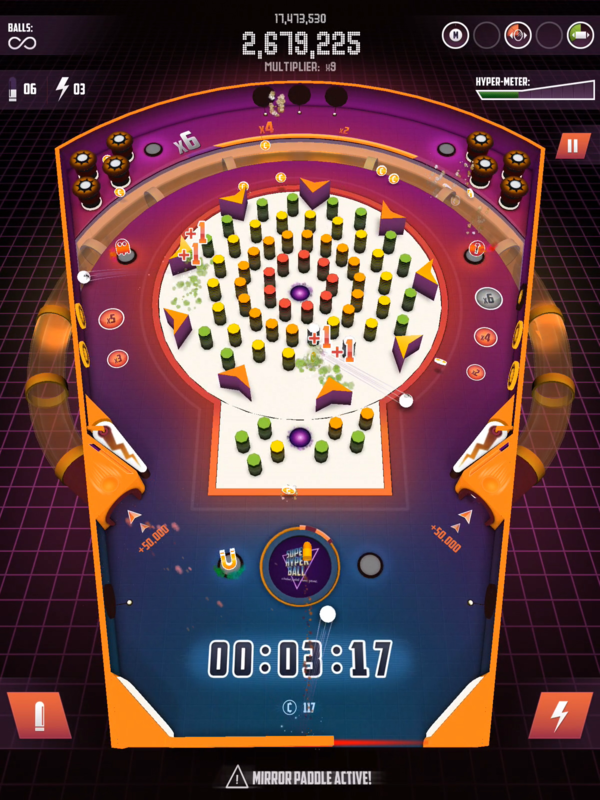 Endurance Mode Endurance mode is a race against the clock. 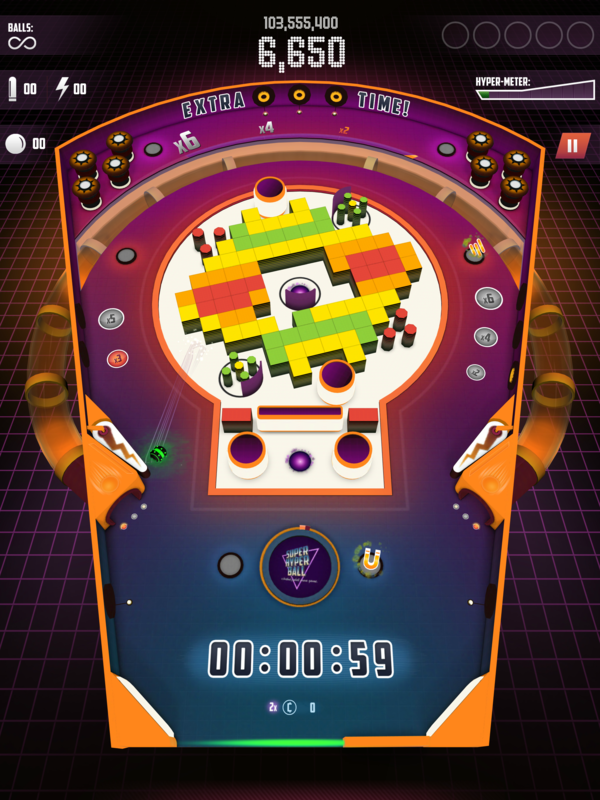 You start with 1 minute on the timer, and you need to score as many points as you can before your time runs out. 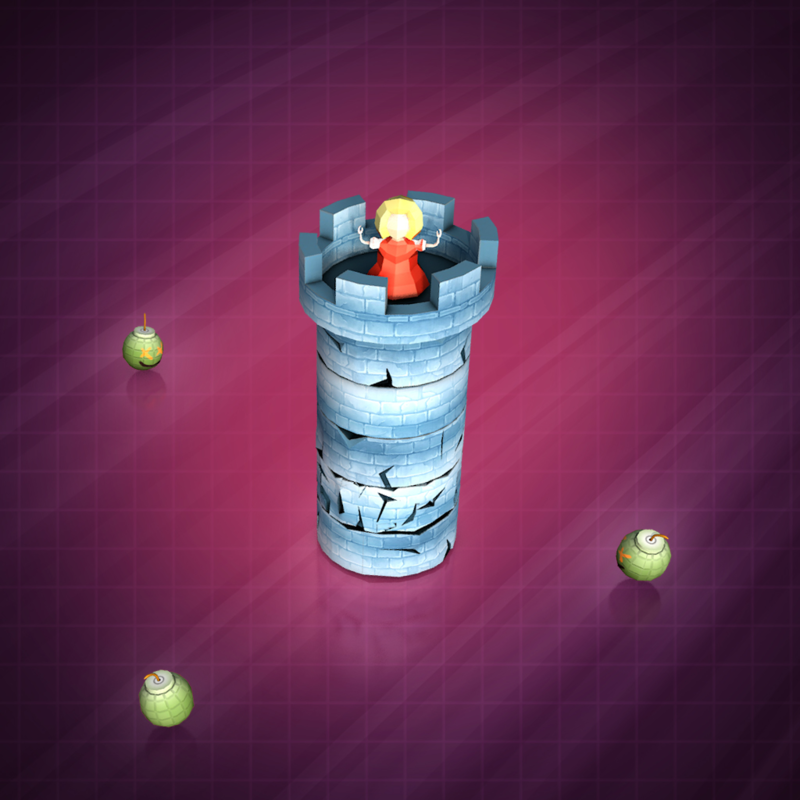 You can increase your time by destroying blocks and clearing platforms. 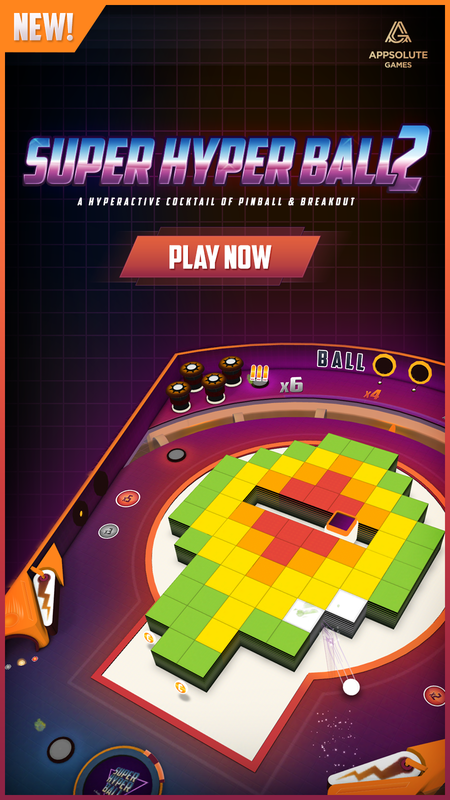 Endless Bricks In Endless Bricks you will get 1 ball to score as many points as you can. 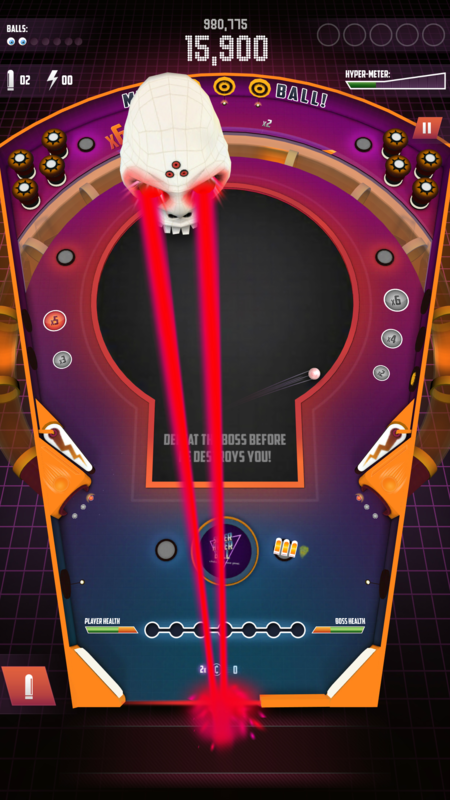 Boss mode In Boss mode you step into the arena and try to beat all the bosses before they beat you, or before you lose your balls. 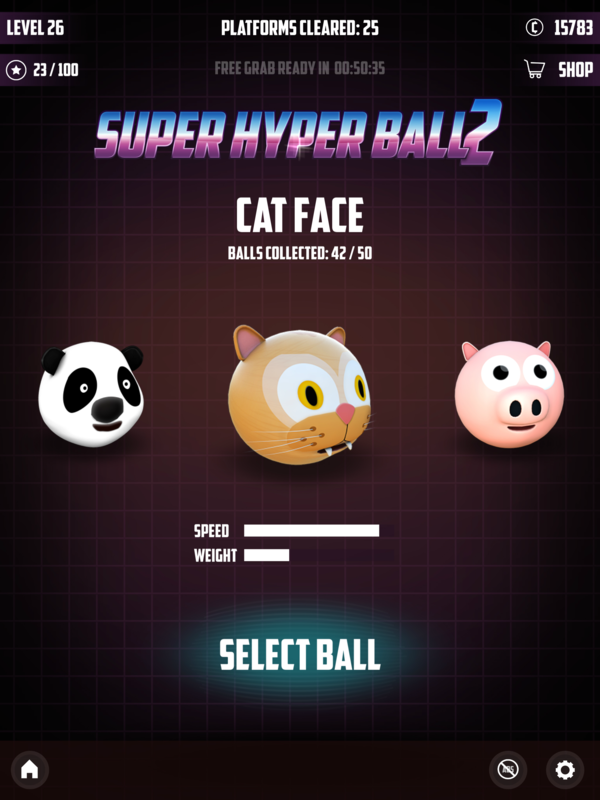 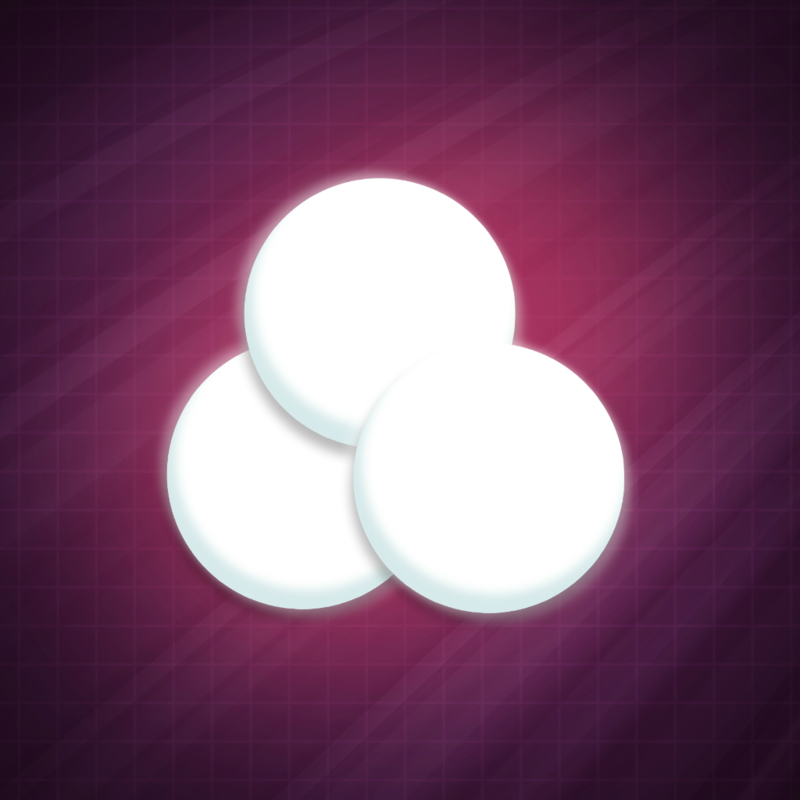 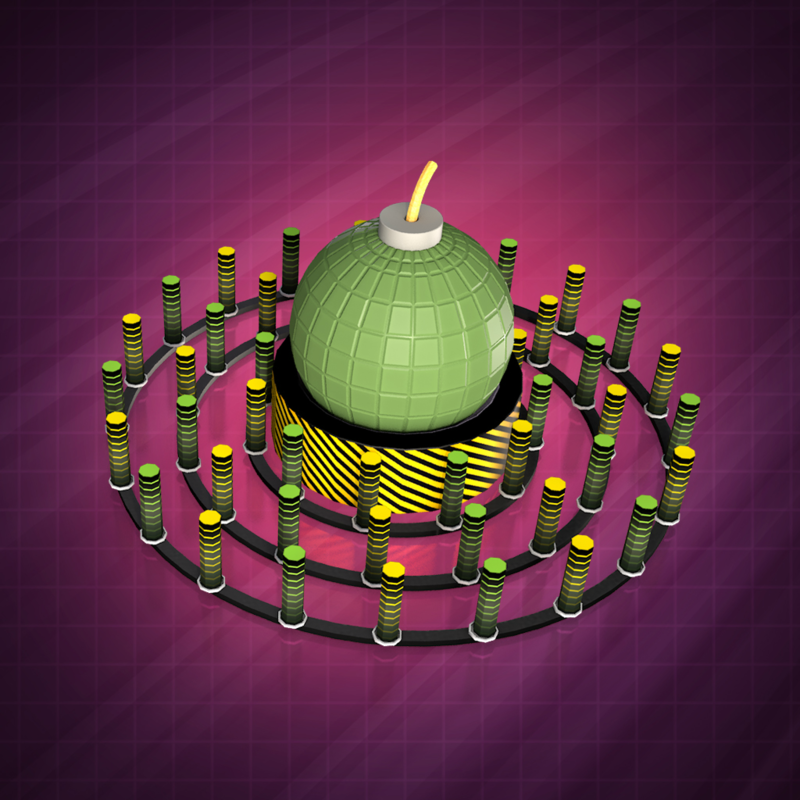 Super Hyper Ball also features a vast array of powerups. 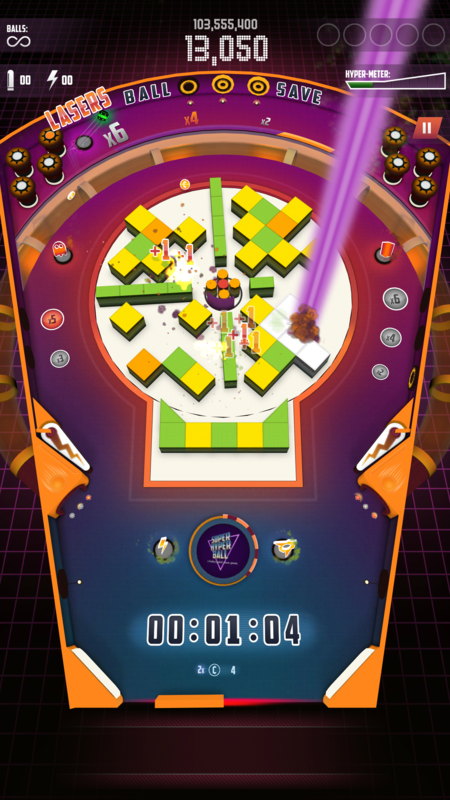 You can pickup powerups like rockets, shockwaves, lasers beams or call in reinforcements to help you clear the platforms or defeat the bosses.